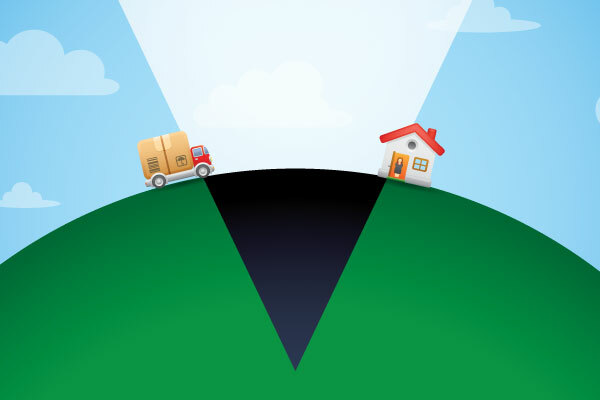 From traditional heavy goods shipments to the new influx of e-commerce-fueled home deliveries, the last mile plays a crucial role in the supply chain. Get it wrong, and you risk alienating consumers; get it right, and you may just gain a customer for life. As anyone who has been through it knows, remodeling a kitchen can be a stressful experience. Expenses run over budget, design ideas don’t pan out, and the timeframe stretches longer than anticipated. Companies involved in delivering crucial kitchen items, such as cabinets and appliances, know they need to hit the mark with delivery— or make life worse for already stressed-out homeowners and contractors. “The last thing consumers want is their new kitchen cabinets arriving late, incomplete, or damaged,” says Ron Drenski, director of corporate logistics for Masco Cabinetry, a Michigan-based company that manufactures cabinets under the KraftMaid, Merrilat, and Quality Cabinets brands.